Computer Repair & Consulting Services at a reasonable price. Won't boot, too slow, lots of pop-ups, viruses! Bring your computer in for a free evaluation! We will give you an honest opinion on whether your computer can be fixed or if it is time for a new system. We can build your company website at a reasonable cost. Click here to see a sample of some of the websites we have built for clients. Are you in a panic because your documents or pictures weren't backed up and your computer just crashed? NKC Systems Inc. can help! Click here to see how we can get your data back! All new systems provided by NKC Systems Inc. come with a 2 Year Unlimited Warranty. Virus Removal /Tune Up comes with a 3 month Warranty. 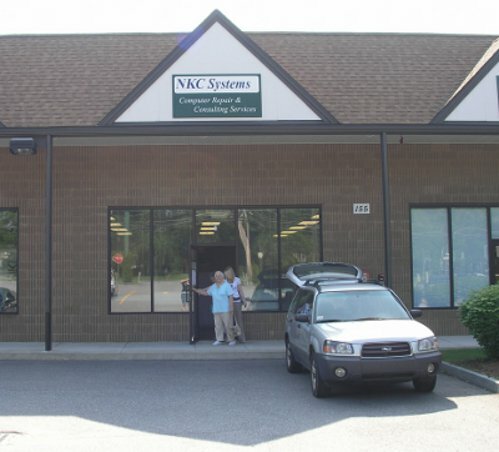 NKC Systems Inc. is a Veteran Owned Business!